To have a healthy, beautiful, bouncy and shiny hair, it is important to take the healthy and balanced diet to fulfil the hair growth factors need in our body. The healthy diet is the one which includes the proper amount of Protein, Carbohydrate, Fatty acids, Minerals and appropriate intake of water to consume and digest the food to regular secretions from all over the body and to expel the toxins and waste and other pollutants from your body. A healthy diet is necessary for your hair growth and what is contained is a prime focussed matter as you are going to opt it after reading this article. Let me first describe the facts and causes of hair loss and their aftermath, which is seen as a major hair loss or baldness. The causes of hair loss or baldness is directly caused by your genes, which are responsible for the hair loss are known as Androgenic alopecia, and the responsible hormone for the hair loss is DHT (di-hydro Testosterone), an Androgen sensitive hormone; is a powerful metabolite that is chemical derivative of testosterone that is formulated when the metabolism of Androgen gets involved with an enzyme called 5-alpha-reductase and their aftermath results comes as the male pattern baldness. The DHT sensitivity causes the hereditary cause of hair loss and it is found that in the human body, the area of the back and the sides of the scalp are resistant to this hormone, DHT termed as the safest donor area which is used in taking hair follicles in the hair transplant procedure. Excessive hair falls/loss leads to baldness and the final ultimate solution is the hair transplant procedure. Many, Doctor/Surgeons used the FUT hair transplant to treat the hair loss/baldness problem that, can you easily get at an affordable cost of hair transplant in Jaipur, Delhi and Rajasthan. Unhealthy Diet: Unhealthy diet is the one which has an inappropriate amount of proteins, fibres, fatty acids, minerals and carbohydrates and essential oils cause the hair loss problems and it is advisable to take the proper and a balanced diet to get the strong, shiny and a healthy hair. Irregular Exercise: To maintain the proper blood circulation in our body is it mandatory to have some exercise daily to breath your body and mind. The proper blood circulation increases the blood flow to the scalp area which encourages the hair roots to grow are responsible for hair growth. Work Stress: The stress is a situation when the normal pattern of our biological as well as the mental health got disturbed resulting in unhealthy attitude and behaviour of our life. Due to over workload of the personal and professional life leads to the work stress causes the hair loss. Stress can be cured by the proper meditation and exercised and in major cases, the medication is recommended by your Doctor/Physician. Chemotherapy & some Medications: Chemotherapy is used on the cancer patient to treat the disease lead to hair loss and if a person having any chronical disease or they are prolonged use some medicines cause the hair loss and can be treated with proper medicines and if there is excessive loss of hair, then the hair transplant are undertaken. Proteins are the building block for the hair growth substance that causes the growth of hair. 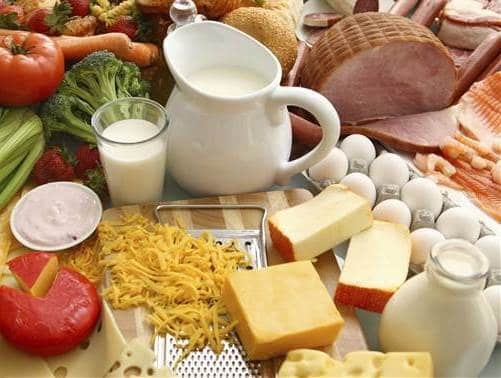 The main source of proteins is Milk, Paneer, Tofu, Soybeans, Cheese, Curd, Lentils and Nuts. The deficiency of proteins lead to severe hair loss is, it is advisable to take the appropriate amount of protein in your diet that strengthens your hair shaft to grow and also reduces hair fall by breakage. Vitamins are the main cause for your hair growth and an increased level of vitamins in your food support the hair growth as well as making shinier and healthier. The responsible vitamins that support the shine and health of the hair are Vit.A, Vit. B, Vit.C, Vit. K, and Vit. E and the great source of vitamins are fruits and vegetables. Since the prime vitamin that causes the hair shaft stronger and abolish the split ends are Vitamin B’ and you must consume this food which is the richest source of it, i.e., broken wheat, green peas, oats, walnuts, Sunflower seeds, Soybeans, brown rice and lentils. Vitamin C is responsible for shiny hair and good sources are citrus fruits like; Lemon, Lime, Orange, Tomato, Cucumber and Cauliflower. 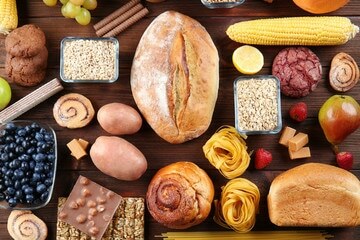 Carbohydrate is the main source of energy and about 55% to 60% of your daily need calories is fulfilled by the carbohydrates which are the prime substance of our food. To grow your hair healthier and look natural shiny it is necessary to have an appropriate amount of carbohydrates since it aids in the growth of body tissues and hair as well. 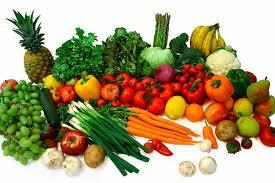 The main source of carbohydrates is whole grains, rice, sprouts, fruits and vegetables. Minerals: Minerals like Potassium, Magnesium, Zinc and Water is the main factors which are responsible for the hair growth and can get from many fruits and vegetables. Iron is the main source of carrying Oxygen to the hair and causes strengthen the hair shafts. The food that contains Iron are whole grains, Bananas, garden cress seeds, and dark leafy vegetables. Other minerals that cause the hair growth are magnesium and Potassium and their content in the nuts, leafy vegetables, dairy products, and Bananas respectively. Fatty Acids: There are many essential oils that cause the growth of hair and strengthen the hair roots. They include Vegetable oil, Flaxseed Oil, Oil Seeds, Fresh Nuts and Pumpkin seeds. The vegetable oil contains the unsaturated fats that are essential for our body and hair growth, i.e., Soybeans and Sunflower Oils. Last, but not least the role of water in hair growth is the most pertinent and water helps in excretion of wastes and toxins from our body and regulates the proper blood supply and metabolism which is the main reason for a silky and shiny hair. 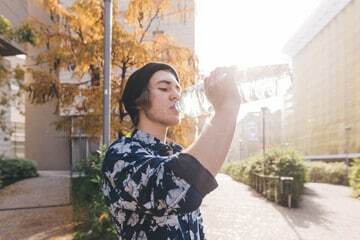 We must take at least 8 glasses of fresh water daily to keep our hair healthy and silky. On the whole, we can say that with proper care and balanced nutrient rich food we can protect our hair from loss and breakage, but if the hair loss cause is genetic, then the only solution to get rid of the hair loss/baldness is the hair transplant procedure. Sofia Johnson, a medical student and a keen learner, love to write about the health issues, especially on the topic of hair transplant, fut hair transplant, hair loss, baldness.